This is also the chance to introduce other characters who are clearly going to be in the new series - Landon, a normal human waiter who is going to be (one of) Hope’s love interests (and I say one of because there is no way this new show isn’t going to have a million love triangles), Josie and Lizzie, Alaric and Caroline’s Gemini coven daughters and, of course, a return of Caroline and Alaric. 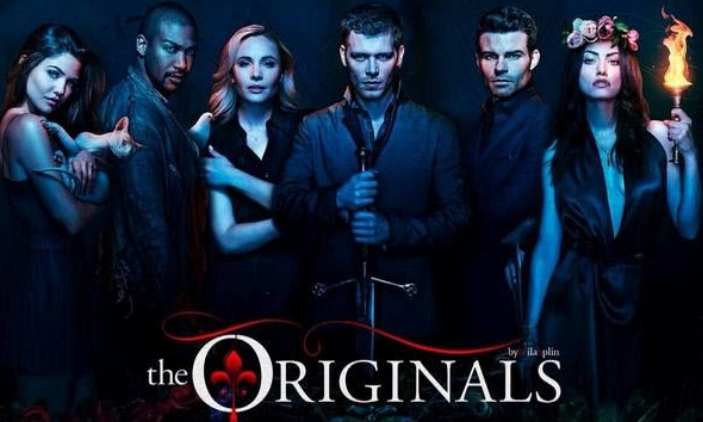 While Hope and Elijah are having an emotional time, Klaus refuses to accept his daughter is going to die and hatches a plan to save her - using Josie and Lizzie’s syphoner powers to drain the darkness out of Hope and put it into him. Caroline agrees because, as we see repeatedly, she and Klaus have always had a weird connection which completely ignores how he threatened and abused her so constantly. Alaric is not a fan and stakes Klaus because, as the books in the Library are clear, Klaus is still like the Worst person Ever. Though why they have Stefan’s journal I do not know - is the diary of a major serial killer really something you need in a school library? Elijah and Hope together makes me slightly sad that we had to have a whole season of Nazi vampires when we really could have had a quieter but, I think, more fulfilling season of The Originals having the whole family come together quietly work through their issues and generally be a family. We didn’t need the nazis. Elijah even makes a point this episode that they all said Hope would save the family. Well this is the last season, make it so. Make her the catalyst to bring the family together. Have them reconcile, have them be less dramatic for five minutes. That could have been a season. I wish it had been - imagine a season of Originals which didn’t rely on angst and melodrama but actually tried to address 4 seasons of Originals conflict with actual family unity.